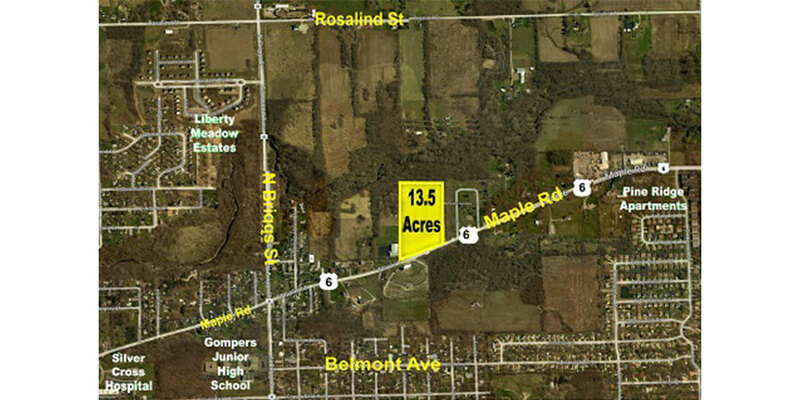 Joliet - 13.5 Acres on Maple | Inland Real Estate Commercial Brokerage, Inc.
13.5 Acres Directly on Maple Road. Part of a larger parcel - will be subdivided upon sale. Excellent exposure on Route 6.